Having a basic understanding of interoception can help us support kids’ sensory processing needs. When you think of sensory processing, you probably think of hearing, sight, smell, taste, and touch, right? And, most of you also know about two other important sensory systems – the vestibular system, and the proprioceptive system. 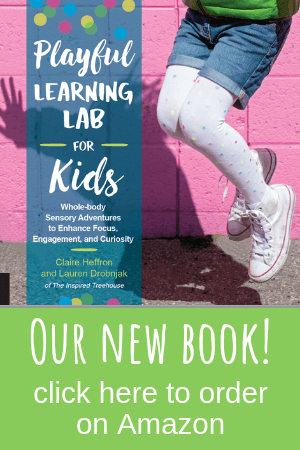 But what if we told you that there is yet another sensory system that can have a huge impact on kids’ self-regulation, behavior, and overall functioning? Interoception is probably the least familiar sensory system to most of us, but knowing the basics about this aspect of sensory processing can give us a more complete understanding of a child’s behaviors and ability to function how we can best support him. 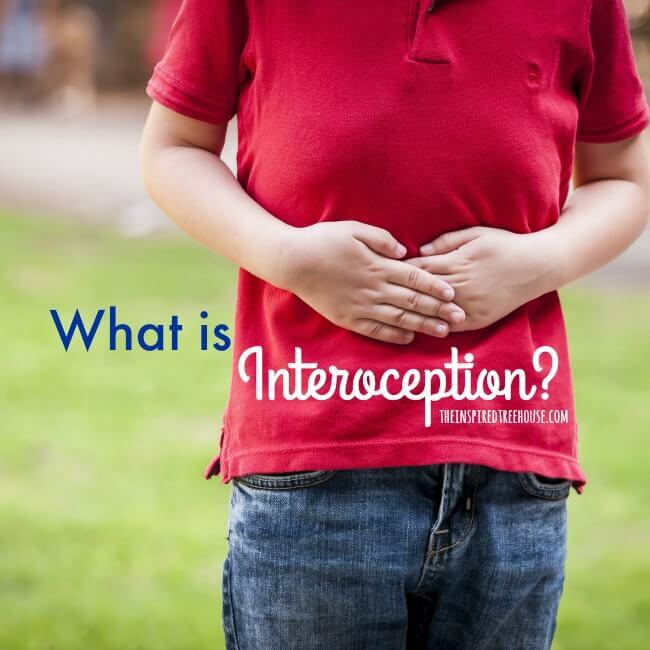 Interoception refers to our perception of what is going on inside our bodies and is responsible for feelings of hunger, thirst, sickness, pain, having to go to the bathroom, tiredness, temperature, itch, and other internal sensations. What’s even more interesting about interoception is that it goes deeper than physical sensations because – as with all of our sensory systems – when our brains receive these internal signals, we interpret, attend to, and analyze them (1). So interoception is also associated with our sense of well-being, mood, and emotional regulation. A helpful way to think about it is that interoception is how we answer the question, “Am I okay?” If those internal signals tell us that yes, we are okay (we’re not in pain, we’re not hungry, we don’t have an urgent need to use the restroom…), then we go about our daily activities with a general sense of well-being and ease. However, if we ask ourselves this question and we’re answered with a different set of signals (heart palpitations, nausea, a headache) – we respond in an entirely different way. We may feel anxious, upset, or even a sense of panic. What does it look like when a child has issues with interoceptive processing? Picking apart the exact causes of kids’ sensory-related behaviors can be extremely complex. And throwing interoception into the mix definitely adds yet another layer of complexity. But consideration of this sensory system can be invaluable as we work with children who struggle with aspects of development like potty training, feeding, attention, and more. 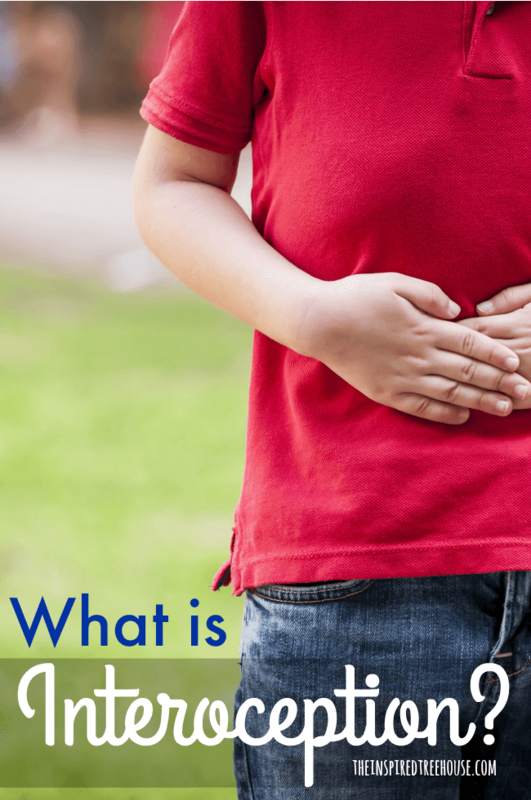 For children with hypersensitivity to interoceptive input, typical everyday sensations like hunger or having to go to the bathroom, may be extremely distracting and even painful. Hypersensitivity to interoceptive input may result in difficulty maintaining attention to tasks if the child is preoccupied with the internal stimuli. What’s more, studies have highlighted “the dependence of emotional state on bodily context” (4). So the physical “overreactions” these children may experience in response to internal stimuli may also result in extreme emotional responses. Children who are hypersensitive to interoceptive input may experience anxiety, meltdowns, and other negative behaviors for apparently no reason, when actually they are responding to the intensity of these internal sensations. On the other hand, some children may be less sensitive to interoceptive input – to the extent that they do not receive cues from these internal sensations at all. While hypersensitive children may be receiving too much input from the interoceptive system, hyposensitive children may not be getting enough information from their bodies. They may not feel when they have to go to the bathroom, resulting in accidents or constipation. They may never feel full after eating – or they may never feel hungry in the first place. Because they are under-responsive to internal cues, they may not be able to interpret or respond to pain or temperature in a functional way, which can result in safety issues. So when we see kids who can’t attend, who seem to fly off the handle without warning, who can’t get the hang of potty training, or who never seem hungry or thirsty…it’s possible that they are struggling with interoceptive processing (and/or other sensory processing issues). They may be extremely sensitive to this internal input, or they may not be picking up on the important interoceptive signals they need to function. 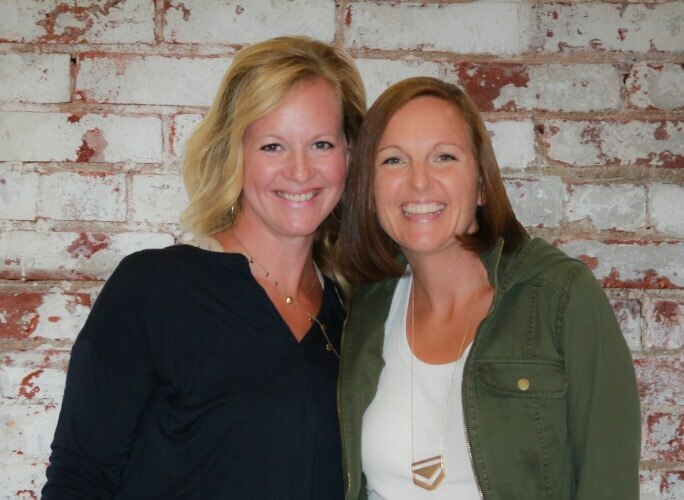 How can we support kids who struggle with interoception? 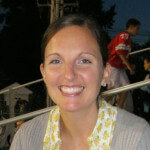 While there doesn’t appear to be conclusive evidence pointing to one specific technique to support the development of healthy interoceptive processing in children, researchers have suggested that mindfulness activities like meditation and “reflection on interoceptive processes” may have an effect on regulating the mind’s attentional and emotional response to interoceptive input (5) and that “skillful attention to interoceptive sensation may improve self-regulation” (5). Research on applying any specific “interoceptive training” techniques to children in clinical, home, or school-based settings is very scarce. But based on what we already know about sensory processing, mindfulness techniques, and social emotional development, it’s possible that some of our tried and true strategies in these areas may also support interoceptive functioning in kids. –Find more calming sensory strategies here. -Find more alerting sensory strategies here. -Body scanning visualizations – bringing awareness and attention to the different parts of the body and referring to the sensations of breath, heartbeat, gurgling stomach, the weight of the limbs, etc. -Giving kids mechanisms and opportunities to communicate these internal sensations (using visual prompts, picture cues, communication devices). These strategies may be helpful for children who are cognitively able to participate and engage in them. They may be difficult or impossible for children who have significant cognitive limitations. However, as professionals and parents, just having an understanding and awareness of interoception as one of the possible causes behind a child’s behaviors and functional limitations can be very helpful in gaining a more complete picture of a child’s unique and complex sensory makeup. We would love to hear from you! What are we missing in this discussion of interoception? Are you aware of new research or techniques that might contribute to our understanding of this complex aspect of sensory processing? Leave a comment below! *Other studies have indicated that children with autism struggle with interpreting interoceptive input because they have such difficulty with identifying and describing their emotions (4). 3 – Mallorquí-Bagué, N., Garfinkel, S. N., Engels, M., Eccles, J. A., Pailhez, G., Bulbena, A., & Critchley, H. D. (2014). Neuroimaging and psychophysiological investigation of the link between anxiety, enhanced affective reactivity and interoception in people with joint hypermobility. Frontiers in Psychology, 5, 1162. 4 – Shah P, Hall R, Catmur C, Bird G. 2016 Alexithymia, not autism, is associated with impaired interoception. Cortex 81, 215–220. 5 – Farb, N., Daubenmier, J., Price, C. J., Gard, T., Kerr, C., Dunn, B. D., … Mehling, W. E. (2015). Interoception, contemplative practice, and health. Frontiers in Psychology, 6, 763. Thank you for writing this, it was very interesting. I have a 15 year old son with high functioning autism who was not diagnosed until he was 10. Prior to that age, there were just some things that were “off”, and one of those things is that since he was learning to talk, he was not able to tell me when he was hungry, tired, or felt ill. I would constantly give him the language to express those things, but it never improved. He wouldn’t ever tell me he was hungry, but I would figure it out when his behavior got really bad! Of course, I eventually learned to ward this off by offering snacks, but he still never learned to identify it himself. This explains what could’ve been going on. He is also not that sensitive to temperatures. Now he can tell us when he’s hungry, but unfortunately it’s always “I’M STARVING!” It’s like he went from being under-sensitive to oversensitive! He is overweight, and we have also always felt, at least since around age 5 or so, that he does not sense when he’s full. We still have to limit his intake to this day, he cannot do it for himself. That’s been a huge challenge, and if you have any tips for us that would be wonderful. Thank you. Thanks so much for your comment – so interesting to hear about your experience with your son. It sounds like you’re doing amazing things for him by being so in tune with his needs. Without being able to evaluate him for myself, I’m not able to provide specific interventions or strategies to address limiting his food intake. I would suggest working closely with his medical team, occupational therapist, and/or a nutritionist to see if you can support his ability to moderate his food intake. Best of luck to you as you continue to support and care for your son! This is EXACTLY what my son struggles with. We see it escalate until he’s a loud and rough mess, then we send him to the toilet, although he firmly declares that he doens’t need to go, and hey presto, nice balanced kid again. It’s such an obscure thing. Potty training was incidentally very simple and quick at 2.5 years of age, but as he’s gotten older, this has actually gotten worse. Perhaps other learning overshadows this need. When he does feel it, it’s always a last minute rush. The same extreme reactions and tantis can be seen when he needs a drink or food and he clearly almost never experiences temperature sensations. For now, whenever we see this mountain of behaviour forming, we simply send him to the bathroom and it staves off many an episode. If it’s not that, then we go for a drink or food. It’s a process of elimination for us. He’s been receiving OT twice a week for a year and while we’ve seen massive improvement in his eating behaviour and fine motor skills, this is a hard one to work on. I have started doing bedtime yoga with him if and when I can and bought him a book about how the body works. Otherwise for now, we just have to schedule these things for him. I’m so please to finally read an article about this. There is very little out there about the interoceptive system. so excited to be learning about this ‘extra’ sense. As a group of transdisciplinary Early intervention workers we are often supporting families to understand their child’s sensory profile and support them to remain calm and focussed as needed. this information on interoception is like the missing piece of the puzzle – it helps us understand why the kids with very high pain thresholds may also be having trouble with toileting. Ditto! We’ve found in early childhood, that it is harder to find strategies and activities which are developmentally & cognitively appropriate for developing this sense with young kids! Great article . Very informative. Thank you. I find Craniosacral Therapy effectively supports self regaution of the nervous system and Interocepfive functioning. As a practitioner in the work I see the benefits of this therapeutic approach on many kids I work with. I also find dance and brain gym to be effective. Can there be a correlation between introception and aquired autism from a brain injury? My 4yo daughter has been in OT 2x/week for a year for sensory integration. Her SPD is fairly mild and we have seen a lot of progress. However, we seem to go through phases, and the current phase finds her feeling nauseous after every bowel movement. She has been potty trained for a year and does not have accidents, but suddenly bowel movements are bringing on nausea, which of course is causing her anxiety when she needs to go. It also has been happening around dinner time, since that is when she has been feeling the urge to poop. (feeding has been an issue but has been getting much better since OT began). It takes between 30-45 minutes for this feeling to pass and then she’s back to her old self. I’m going to mention it next time at OT but it sounds like it is her interoceptive processing. Are you familiar with this issue? Thanks!